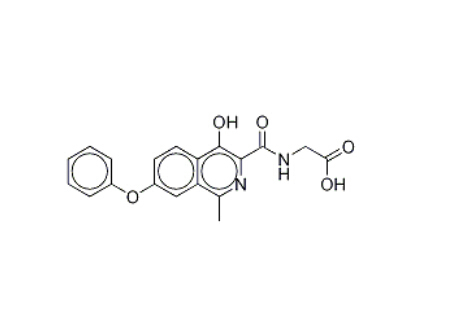 FG-4592 CAS 808118-40-3, also called Roxadustat, FibroGen and FG-4592(ASP1517) is a vital product in our company. We can offer a range of high purity and low price FG-4592 CAS NO 808118-40-3 according to the requirements of the customers. FG-4592 as an HIF α prolyl hydroxylase inhibitor apply to treatment of anemia. The FG-4592 CAS 808118-40-3 has bulk production and the specification can be adjusted depend on diverse requirements of the customers. Thera. Category: HIF α prolyl hydroxylase inhibitor. Looking for ideal Anti- Anemia Roxadustat 808118-40-3 Manufacturer & supplier ? We have a wide selection at great prices to help you get creative. All the White Powder FibroGen CAS 808118-40-3 are quality guaranteed. We are China Origin Factory of HIF Prolyl HydroxylaseInhibitor FG4592 CAS 808118-40-3. If you have any question, please feel free to contact us.